Of course, we all took turns. . . even the kids at heart! Can you tell we are basically ready for Disney World? What was the most magical vacation that you have been on? Have you ever been to Walt Disney World? If you have, what was your favorite experience. I have not been to Disney World, I really haven’t been on many ‘vacations’ The only places I have really gone is to visit family. And those are always fun don’t get me wrong. I have also traveled with church youth group to South Carolina for a youth event and to Colorado to help build a Habitat for Humanity house. Yes, I have been to Disney World and it was without a doubt the most magical vacation I have ever been on. I cannot wait to go back. I think my favorite part was the boat we took from our hotel to the Magic Kingdom. It was just so pretty. And everyone there is so friendly :) Have a great trip!! No we have never been on a vacation as a family — this year will be the first year. Angela’s last blog post..Keeping it real. The most magical vacation was a cruise to the Caribbean. My husband and I went to Disney World but living in Southern California, we have been to Disneyland many times, so we only went to Epcot. It was so much fun though. We loved all the different countries & our favorite “ride” was “The Land.” That was so cool. I have never been to walt disney world, but I do want to go. I think my most magical vacation was when I was 8. I went to the world expo in Canada. It was very memorable. thanks! I’ve been to Disney World three times and Disney Land once. Pretty magical, I would have to say! I was a child for all of those visits. As an adult, my vacation to Puerto Vallarta, Mexico last year was magical too! It was just me and my husband and not a care in the world for 8 whole days! We have never been on a vacation together. I would LOVE to go to Disney World! I love DisneyWorld!! My fave ride there was the Tower of Terror! Oh,Yes I’ve been to Disney World! Let see…..as a child…honeymoon…grand opening of Epcot……. Grand opening of MGM….grand opening of Safari….. Opening of the water parks…..took me daughter there every year til the age of 8…Now planing a Disney Cruise. If I had to chose one thing only that I like I would say Epcot area, all the Technology,some that has already happened. I am a Scfi Girl! 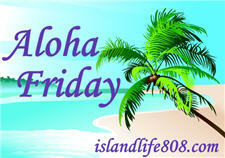 Auntie E’s last blog post..Aloha Friday#7- Getting Ready for Summer. I’ve never been to Disney World, but the most magical vacation and only vacation I’ve ever been on was when my mom and I went on a bus tour down to Pennsylvania to see the Amish Country, Gettysburg, Hershey Factory and stay at a wonderful resort! It was magical because it was just my mom and I and it felt great! My favorite vacation was my honeymoon. (Does that count?) We went to Slovenia and stayed at a cute little bed and breakfast by a gorgeous lake in the mountains. I went to Disney World as part of a school band trip in the 9th grade. I loved it. We are planning to take our kids within the next couple of years. Hubby and I go to St. John, USVI every year. His parents have a summer home there, so it’s a nearly-free vacation for us! We plan on taking the girls when they get a little older! Our family has the most wonderful memories of Disneyland and Disney World! I lovced going to California to visit my grandparents and Aunt & Uncle and going To Disneyland and Knott’s Berry Farm. And our kids loved going there too when we were stationed in California when they were younger. And then Disney World when we moved back to the East Coast! 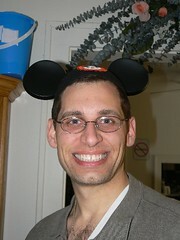 Ollie McKay’s’s last blog post..It’s a Fabulous "Aloha Friday"
I would love to go to Disney World! Our trip to Hawaii in March was WONDERFUL!!! That is definitely my favorite of all of them. I haven’t been but the most magical would have been my honeymoon in Aruba. There hasn’t been anything like it. HUGE GRIN! My most magical vacation is a toss up between my last two. Two years ago my hubby and I started dating while on vacation, before that we were just very close friends. Last years vacation was when I found out I was pregnant. The pictures are so cute! The kids look ready for their visit with Mickey Mouse! 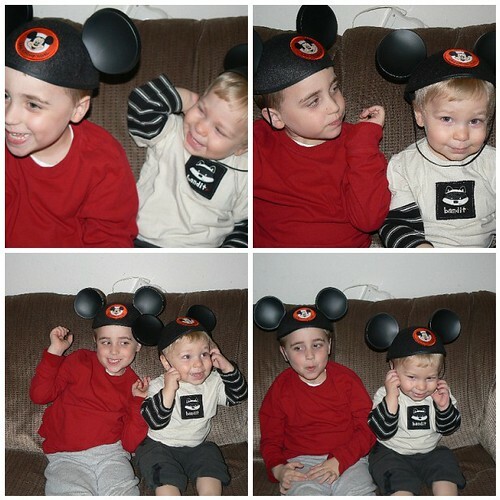 My most magical vacation was a trip to Disney World with my cousins. It was one of those trips where it rained (I know shocker – rain in Florida). We rode Pirates of the Caribbean over and over again to avoid the rain. That one trip always sticks in my mind as one of the most magical vacations! Love the website – keep up the great work! 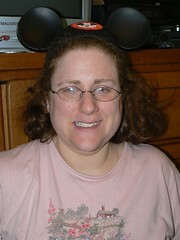 I have never been to Disney and I lived in Florida for 6years!! Saving up now to go in the next few years. Most magical vacation for me was going to Spain(Ibiza) Party capital of the world! I was young so I was aloud lol but I couldn’t imagine going now. Spain is beautiful I loved it over there and hope to go again someday. That’s great that you got the ears ahead of time, and for free! On our first trip when Alex was 2 we didn’t buy ears until our last day there, for some reason. This time we got smart and bought them right away. I recommend taking them to the Chapeau in the MK, it’s right at the entrance, and getting their names embroidered on them. Makes it really easy to tell whose is whose. Oh and you should know my answer to your questions! I went to Disney World with my family when I was about 7 and it was amazing. I still remember all of the fun parks we went to while we were there. I think we spent about a week there so we really did go everywhere. I would recommend everyone go at least once! I was lucky enough to go to Disney World/Land every year growing up and I have so many great memories! Definitely ready to go. :) You’ve got some fine mousekeeters. :) I didn’t even realize the Mickey Mouse Club was still around. I have never got to go to Disney World…yet…but we will when our kids get a bit bigger! My most magical vacation would have to be trip to Virginia Beach when I was like 13. It was one of the only times my sisters and I didn’t fight when we were younger. Yes, I’ve been to Disney, twice actually. I’m a kid at heart, I love Disney. I’d love to go back and spend more time at Epcot. My favorite trip was a trip to Puerto Rico. The rain forest is just amazing. Magical vacation (before kids) going to Italy and driving thru Tuscany with my husband. Heaven. Took the kids to Disney World and everything about it was magical just watching them enjoy it! I wish we could go once a year! What wonderful photos of all of you kids!!! I hope you have a magical time in Disney World and I cannot wait to hear all about it! My most magical vacation up until this point has been going to Brazil for my honeymoon. It was amazing being exposed to another culture and continent so different from my own.